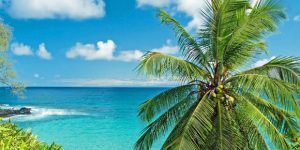 It’s still not too late for a Hawaii vacation on a budget with these Hawaii deals valid from August 2018 until June 2019. 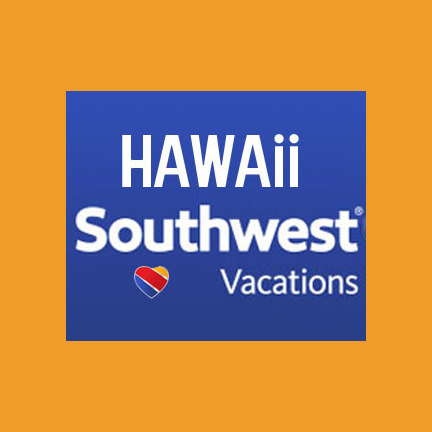 This excellent United Hawaii summer sale has returned again today, July 23. It may be brief, so don’t delay and be sorry. This Hawaii fare war is the result of increased competition between carriers. Save 50% or more to Hawaii on peak summer travel dates. These 15 unadvertised deals could end at any time (like today). Unbelievable summer through winter airfares from up and down the Pacific Coast and beyond. Have a look – we have more great deals for you today! Remember that peak summer travel on these routes is typically $350 or more each way. Travel dates are from August 2018 until June 2019, except Christmas/New Year and Thanksgiving. Regarding availability, each route is different. Best for weekdays with limited weekends. If you get stuck finding dates, feel free to leave a “courteous” comment including your city pairs and dates, and we’ll try to help as best we can. Prices below are each way including all taxes and fees. Not all days or flights. At least one stop is generally required. These airfares must be booked online only. United Airlines Hawaii flights remain a major disruptor in Hawaii travel with deals like this not seen from them in years. They don’t plan to take competition from new Hawaiian Airlines A321neo fleet and from soon to be arriving Southwest Hawaii flights sitting down. Also read: The Cheapest Time to Fly to Hawaii for all of our 2018/2019 tips and tricks. Phoenix to Maui $186 each way. August 2018 until February 2019. Portland to Maui $186 each way. August 2018 until June 2019. Portland to Honolulu $186 each way. August 2018 until June 2019. Portland to Kona $171 to $186 each way. August 2018 until June 2019. Sacamento to Maui $186 each way. August 2018 until June 2019. San Diego to Maui $186 each way. August 2018 until June 2019. San Diego to Kona $186 each way. August 2018 until June 2019. San Diego to Kauai $186 each way. August 2018 until June 2019. Seattle to Maui $186 each way. August 2018 until June 2019. Seattle to Honolulu $186 each way. August 2018 until June 2019. Seattle to Kona $181 each way. August 2018 until June 2019. 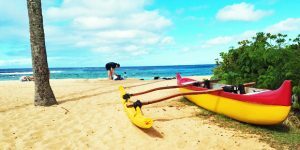 Looking to fly to Hawaii somewhere around Nov 11-21 (dates are flexible somewhat on both ends. Especially considering weekend/holiday week travel). Would be flying from Nashville to Honolulu or Kona. Hoping to fly into one and out the other, but not oposed to a straight RT flight to save $. In your opinion does Southwest begin flying by then? Or at least announces their dates soon so that I can book with another airline if they aren’t? Have tons of points I’d love to use if SW is flying by then. Thanks! We hope to know more about SWA very soon so stay tuned for that. On our exact dates, $725RT on multiple airlines with good connections. Fair price. Aloha! First….Thanks for all the great info you provide! We have a party of 6 heading to Kona from PDX in June 2019. Dates are flexible, mid-month departure for approx. 10 days. United still has some $372 fares, connecting thru SFO. However, my friend has 2 companion tickets on Alaska that she is offering us since we have to buy 4 of the 6 tickets. Do you think Alaska will get competitive down in the $500 range for that timeframe, currently they are around $1,000. With Alaska, a direct flight is possible. I don’t really fly with them so I don’t know how their pricing typically is. Hawaiian Airlines would be another option too. I am so torn on whether to wait or just book United now. Alaska could save us some serious $ but I will likely drive my self crazy if I have to stalk airfare for 6 months and if they get out of our price range since it will be for June, which I have read is expensive. In a nutshell – not at all likely that Alaska will change pricing for peak summer based on what United is doing. Alaska and Hawaiian should be comparable. If you don’t mind the stops en route, and the price is right, you know what to do. Buy now. Mahalo for the advice! We booked last night and those flights went way up overnight. I think we got the last cheap seats for our dates. 😉 Yay! Glad that worked out. Thanks for letting us know. is SW Hub? Any other options with UAL? Yes wait a month and see what happens after SWA announces. Looks like $650 right now on three airlines, which is reasonable. Has room to go down by up to $200, with patience and a bit of luck. Good that you’re traveling mid-week. I really appreciate your website! Thanks for all you do! Would like your advice for when would be the best time to buy tickets (5), for June 2nd -16th, 2019, from Dallas/Ft Worth to Maui? How far in advance should I purchase tickets? Should I wait for SWA to start flying/competing? Look for UAL deals from DFW? Thanks for your advice for my best plan to fly the family out to our favorite place in the world!! Thank you! Tricky on several counts. Yes there could be beneficial SWA impact. We may know more in next month. In terms of best pricing, your return is in high season, so that’s a problem. So are the Sunday travel dates. Pricing is from about $1,000-$1,150. Might improve, but might not. See what happens after SWA announces, and how it impacts their connecting routes such as yours. Feel free to check back in with us. Thanks for your reply! My travel dates have some flexibility. Would you advice moving travel dates to not go into June (high season)? And for my days of the week to not be on Sundays? Is Wednesday best day to fly and get the best airfare? Yes definitely better if you can come in May – and in every regard. 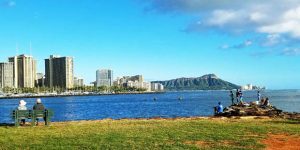 Less costly, fewer visitors, and just more Hawaii. Most financially advantageous travel days generally are Tuesdays through Thursdays. My husband and I will be going to Maui on June 1st, we are in Texas so we can fly out of Dallas or Houston, any of these cheaper fights for us Texas folks? Our stay is June 1 through June 8th. Thanks for all the info that you pass our way! Saturdays will likely be about a $400 extra problem. Too early to buy, but mid week should go down to $700+ while weekends will run $1,100+. Hi guys! Thanks for all you do; your site is awesome. I’m trying to book airfare from Denver to Honolulu for Oct 4-14. The price has been the same for several weeks now and I was so hopeful that this sale would include Denver, but no luck. Would you guys suggest we just go ahead and purchase now? We can fly nonstop for $666 ticket. I would happily fly with a stop if it was significantly cheaper, but for about $60 more to fly nonstop- I feel like that’s the way to go. Any suggestions? Thanks! Thank you. Yes $666 just now on nonstop. Not a bad price, but not the cheapest either. There isn’t anything workable in terms of much lower fare with reasonable stops. Gut call is to go ahead and buy. That market might improve, for example if Hawaiian goes there, which wouldn’t be out of the question. Not in your time frame, but for the next trip. Thanks so much! You guys are the best! Aloha, I don’t see any airfares from San Francisco. Is there a reason for this?if there are flights available at a good fare could you list them? These are unusually good fares in specific highly competitive markets. This is not a more general sale and it certainly does not include San Francisco. We very regularly feature San Francisco to Hawaii airfares, whenever we can find them. Hi! We are looking to fly Chicago to Honolulu Jan 1, Honolulu to Lihue Jan 29 and Lihue to Chicago February 26. Accommodations are booked but can be a bit flexible with dates. I have been checking many options – all seem pricey. Any suggestions? Thanks much! Looks like that will be starting at about $800, plus inter-island which would best be flown without returning to Honolulu (ORD/HNL/LIH/ORD). Not really much competition in that market at this time. Unless/until something changes, price may not improve by waiting. I wanted to first say that I love this site. Super informative and it gives me so much to think about. My dilemma comes from United flying from Pdx to Hnl in either mid May or early June, the cost is about $372 with 1 stop over, and other airlines want about $550 for nonstop. Do you think at some point the nonstop flights may come down to around low to mid $400s if I wait? Or you think I should consider buying tickets now with United? Or you think other airlines such as Southwest may be as competitively priced as United in later time? Sorry this is so long with so many questions. Thank you for any advice you can offer. I appreciate it. Yes your dilemma is clear. UAL wouldn’t be your first choice with its stops. That route should stay very competitive and it is likely there will be deals. They may not come for quite a while, but if you’re patient, they should arrive. Lastly no indication that anything SWA will announce impacts this. They are staying with California routes for the time being. Hi, thanks for being a great HI travel resource! Headed to Kona from SoCal in late June 2019, 10-day trip. Should I wait for Southwest to launch? Haven’t seen any great deals yet. What should be my fair target? Thank you! 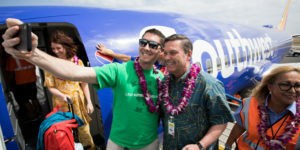 Since we expect first SWA flight announcement within 2 weeks, certainly worth waiting. Just FYI though. There is a $372 RT fare from San Diego towards end of June (can’t see entire month of June yet since it is a little too early). It has one stop and is on American. Good looking out, B.O.H.! I’ll check out San Diego and also see what specials SWA promotes early on. In general, is it still a good rule to buy 90-120 days out? Thanks. Generally true, other than high seasons, which need long lead time.